Contact Offshorecorporation.com at 1-888-338-9868 or +1-661-253-3303 for information, tips, and helpful hints to help you open a Swiss bank account. So, what are the best Swiss banks? The most advantageous institutions change from time to time. Most banks in Switzerland will not open accounts for individuals who are United States or Canadian citizens. This is because the regulations in these countries require the banks to abide by strict reporting requirements that add to the cost of maintaining the account. As a result, the bank secrecy is different than it was in the past. The good news, however, is that the risk of tax evasion accusations have fallen to nearly zero since the advent of this legislation. To apply give us a call or complete the form on this page. 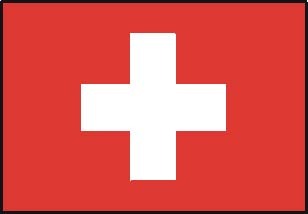 Most Swiss banks will not open accounts for foreign residents or will make the process impossibly difficult. Very few Swiss banks will open accounts for people without walking into the Switzerland bank. So, it is important to hire a professional person to assist in opening a Swiss bank account. We can help you get an account opened without the need to travel. There are tremendous advantages such as reputation, strength and privacy. There are also a number of investment options. Banks in Switzerland are both like banks elsewhere such as offering deposit accounts. They also commonly act as investment houses with experienced money managers. Below is a list of Swiss banks as of this writing. Ersparniskasse Affoltern i.E. Affoltern i.E.